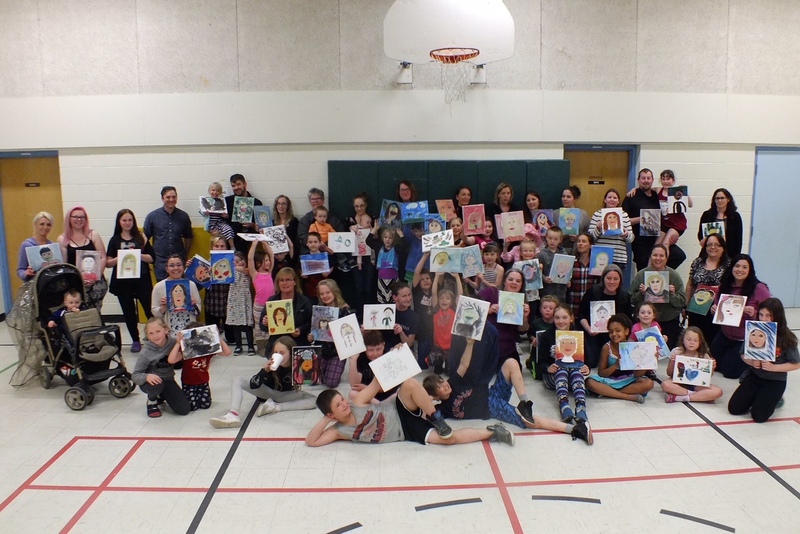 Last week, Clare’s school organized a paint nite, hosted by Salmon River studios in Tamworth. 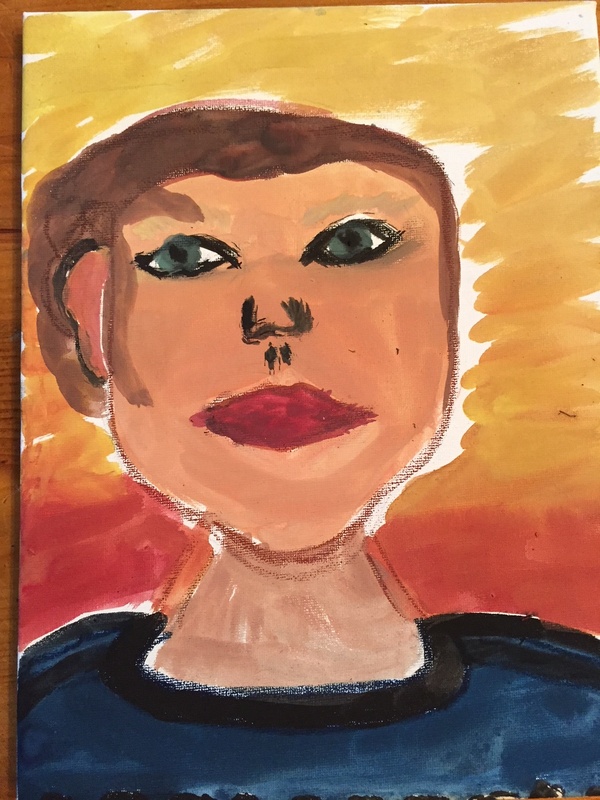 Our project was to paint a portrait of each other. Our instructor Gabriel had us sit across from our partner, then showed us the technique of drawing the person first, then using a pastel outline, finished by light watercolours to complete our portrait. 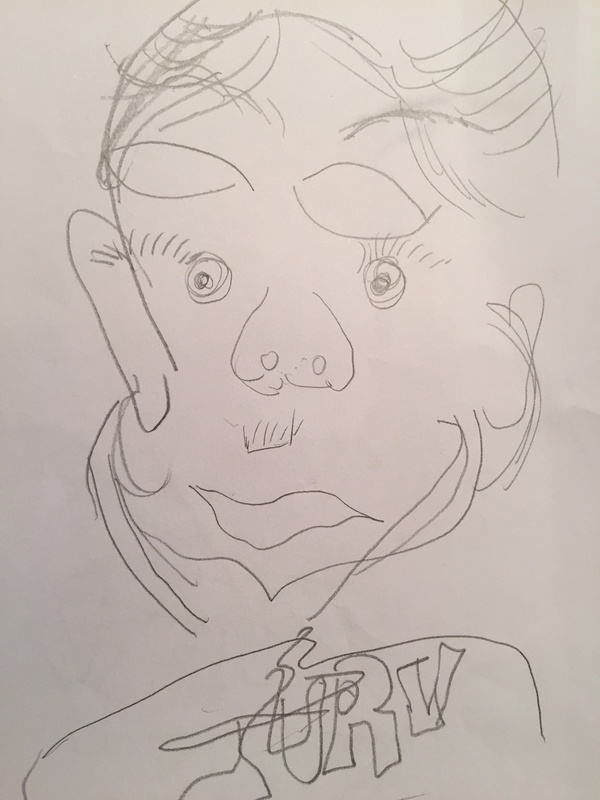 Since most people who aren’t artists feel inhibited by portraits, Gabriel had us do a short three-minute warm-up activity. We had to stare at our partner and do a pencil drawing of the person without looking at our paper. The results were pretty funny, but I actually liked my blind pencil sketch of Clare better than my portrait of her. It was inspiring to see the creativity in the room and the final portraits after the hour was over. Some of the kids used bold colours, painting their parents like cartoon characters or caricatures. One Dad painted his daughter as an amazing fairy-like Jedi. There were some incredible likenesses, and all were very special. One tip Gabriel shared: when drawing portraits, there’s a tendency to make people’s eyes too close together. The distance between the eyes should be the same as the width of the eye itself. I spoke to Gabriel afterwards, and he said while some instructors follow a very prescribed approach, he prefers to provide just a few simple instructions, then give people’s creativity full reign. I especially loved that Clare painted me more beautiful than I actually am. This week’s #HappyAct is to have a paint nite. I should add that while this is a perfect parent/child activity (perfect for Mother’s Day! ), this would be a great activity for any teambuilding event, birthday party, or girls fun night. More about Salmon River Studios: Located in Tamworth, the studio runs summer arts camps for kids, Sunday afternoon pottery workshops for all ages, school programs and more. Check out their website and sign up for a course today.